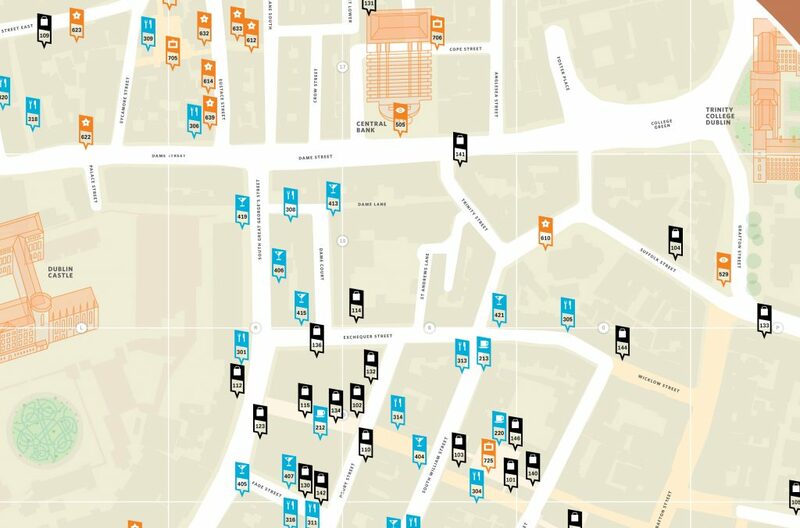 Over 200 interesting and independent places for you to experience and enjoy in Dublin, recommended by designers who live and work in the city. 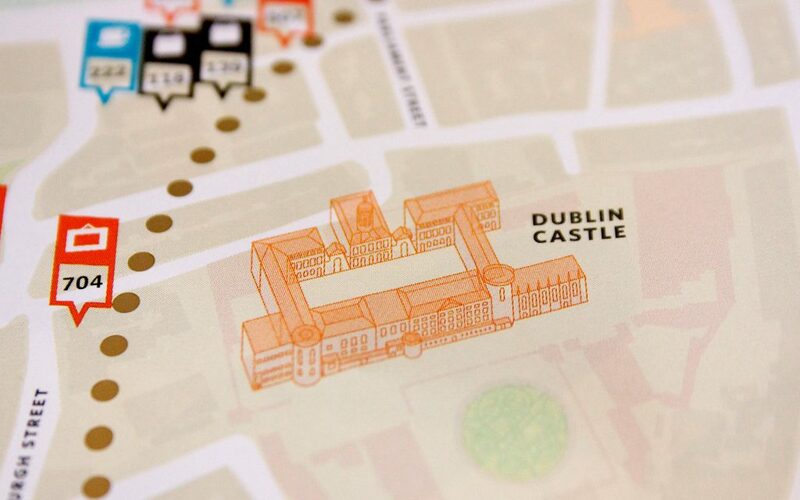 The PIVOT Map is a printed and on-line map and guide to Dublin design shops and studios within easy walking distance of Dublin Castle, commissioned as part of Ireland’s hosting of the EU Presidency. Designed by Conor and David, the map includes bars, cafés and galleries which have a design focus and identifies places of architectural and urban design interest. The emphasis is on the distinctive and the unique. Designed initially for the benefits of the many visiting delegates during the presidency, it lets people know where they can go to experience Dublin design, find original Irish design products and meet Irish designers. The map was launched by the Lord Mayor in City Hall on 28 January 2013. It has been continued since as an online resource (click here) which is updated with user submissions via a Recommend function in the map.